I had my 4th graders tell me what type of Thanksgiving craft they wanted to make before our class feast. The consensus was: Thanksgiving Puppets! I immediately started searching Pinterest for Pilgrim and Native American puppets. I stumbled upon the website Spoonful and these adorable puppets with templates for free. I combined their two examples and let the kids get creative with the paper and templates. You can see our while village we made! When the kids finished their puppets, they were allowed to make other little details for their puppets. The puppets are darling. Thanks for showing us the class final product. Have a great Thanksgiving! Love those cute puppets! 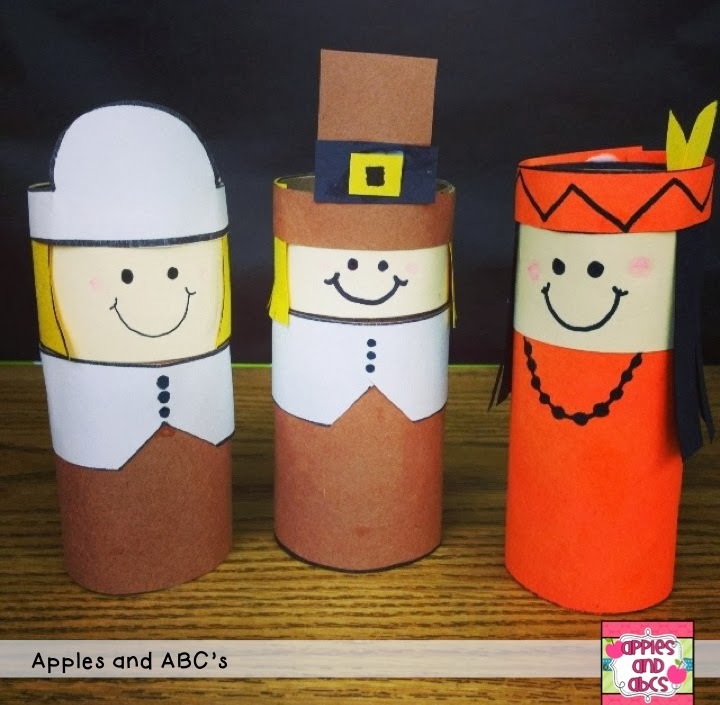 How fun for your students to make these! Super cute Michelle - I bet your 'big' kids enjoyed making them so much...you're such a great teacher. They are blessed to have you! Those are adorable, Michelle!! We usually don't have a feast at school, but I'm thinking that we might start having one next year!! Hope you have a great Thanksgiving!